Bernard Foley of Australia passes the ball against Argentina. 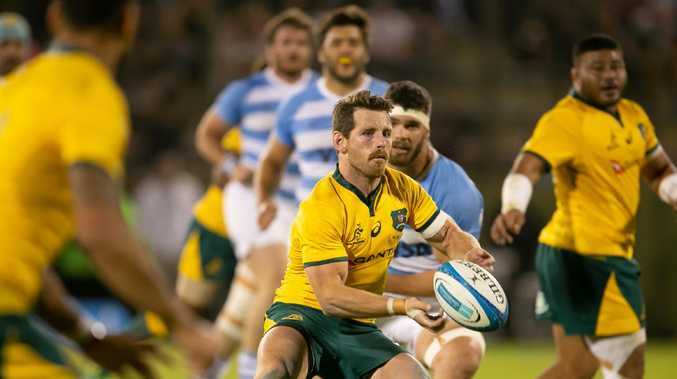 BERNARD Foley believes Australia's best attacking return in nearly a year shows there are plenty of points in the Wallabies if only they get their defence right. Recalled as starting five-eighth, Foley was at the heart of the action as the Wallabies overturned a 24-point half-time deficit to beat Argentina 45-34 in their final Rugby Championship clash of the year. In the second half alone in Salta, Australia scored 38 points - more than in any of their previous 11 Test matches dating back to last November's rout of Japan in Yokohama. 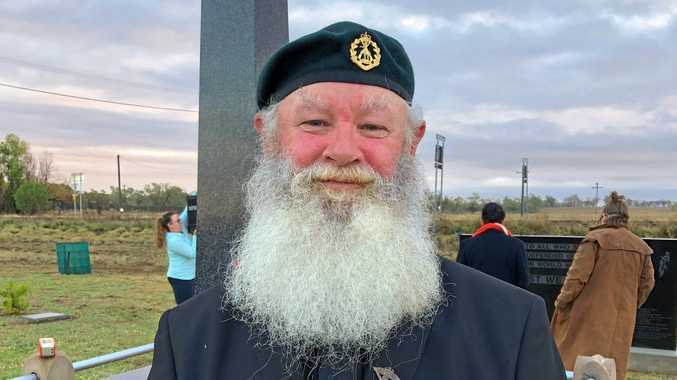 It all seemed to click into place for the Wallabies but Foley said the key was the way they fixed their defence, which gave the backline enough room to complete plays that were falling apart earlier in the match. Australia missed 20 tackles in the first half but just three in the second. "It was just the intent in our defence that was letting us down," Foley said. "We were waiting, sitting on the line, missing tackles and they were really good and going through us. "That is all it was in terms of a mindset... we back our attack at all times, we know we've got points in us. "We've just got to allow ourselves to play enough in the right half to play our structures and when we defend right we create turnovers and give ourselves a chance." 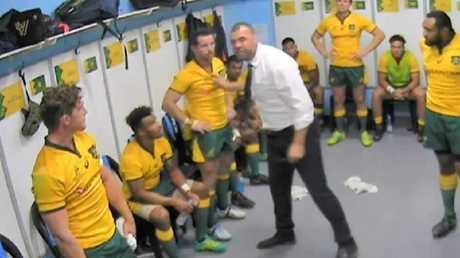 Michael Cheika rips into the Wallabies in the dressing rooms after their dismal first half effort against Argentina. Coach Michael Cheika said: "You saw the change in attitude and work ethic and outcome in the defensive side of the game and that changes the tone of the fixture altogether. "It stops the opposition, they start to think 'why can't we get through in attack?' and then that leads to them maybe not concentrating as much on D, and then you take those opportunities as well." Like many of his teammates, Foley's first-half performance was average. He missed the tackle on Pablo Matera which allowed the Los Pumas flanker to score the opening try less than two minutes into the contest. But his subsequent improvement and the way he directed backline play should end any debate about who Australia's best option at No.10 is after the ill-fated Kurtley Beale experiment.